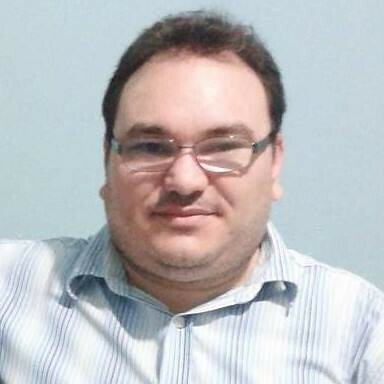 Brazilian journalist Gleydson Carvalho died Thursday after two men fatally shot him at his radio studio while he was on air. Carvalho worked at Radio Liberdade FM in the city of Camocim, Ceará. A coworker told G1 that he was threatened because of political denunciations he had made. On the morning of August 6, he was directing a radio program when two men shot him three times during a musical interlude in the show and fled, El Pais reported. The men had pretended to be advertisers in order to gain access to the building, the newspaper added. Carvalho was taken to the hospital, but died on the way. On August 7, police arrested two people suspected of participating in Carvalho’s murder, yet the two people who shot him are still at large, according to G1. The state government said they’ve given Military Police priority over the case. The Committee to Protect Journalists (CPJ) condemned the murder and Sara Rafsky, the organization’s Americas research associate, said "Authorities must take action to combat a press freedom crisis that is violating the right of all Brazilians to be informed, not to mention ending journalists' lives." Carvalho is the fourth journalist to be killed in Brazil this year for his work, according to CPJ. On March 5, Paraguayan Gerardo Ceferino Servían Coronel, also a radio journalist, was fatally shot about six times in Ponta Porã, Brazil. Blogger Evany José Metzker’s decapitated body, which had signs of torture, was found in Minas Gerais on May 18. Six days later, the tortured body of community radio journalist Djalma Santos da Conceição was found in the state of Bahia. Masked men had kidnapped him from a bar the night before. CPJ reported that none of these cases have been resolved. CPJ reports that at least 16 journalists have been killed for their work since 2011. Brazil ranks eleventh on CPJ’s 2014 Global Impunity Index.